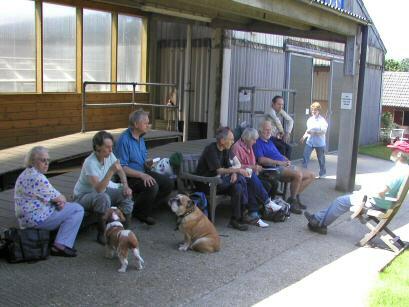 A now-annual visit on 8th of June was made to Chigwell Riding Trust for Special Needs. 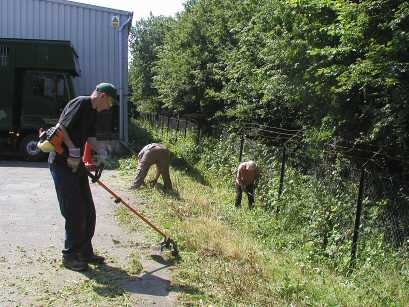 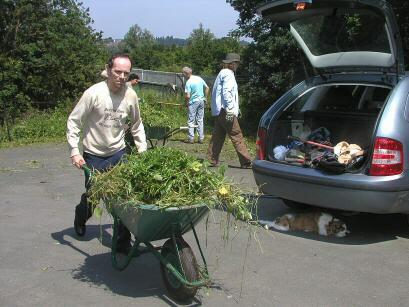 This was a work-party, and we were asked if we could clear the rank vegetation around the car-park area. 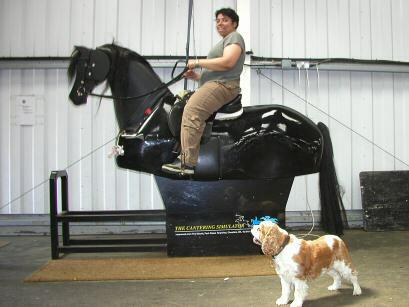 On a hot and sunny day, we completed the task and tidied up - but not befores some of us had a go on "Trigger" - a "robohorse". 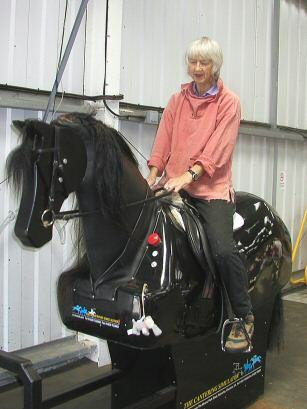 From experienced riders amongst us to those who were slightly uncertain as to whether the mecanical versions also bite, we all proved quite adept at keeping the beast under control! 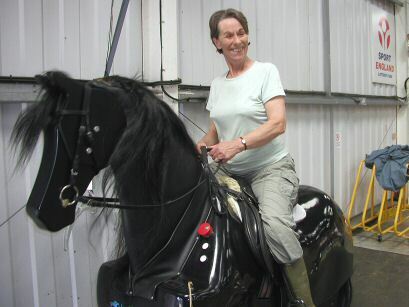 We had a lovely letter from Deborah who runs the stables thanking us for the work that we did - but it was a pleasure.